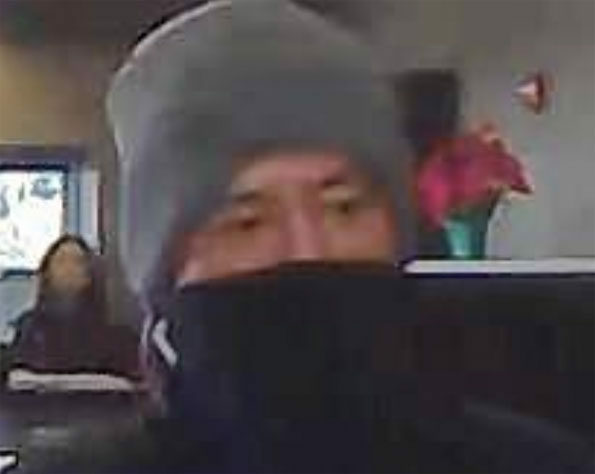 Rolling Meadows police responded about 9:35 a.m. to 9:46 AM Saturday February 9, 2019 to a bank robbery at the Ben Franklin Bank 3266 Kirchoff Road Rolling Meadows, IL. Police received a report that the bank was robbed by a male offender that fled in a white vehicle — possibly as a ride-sharing vehicle client. 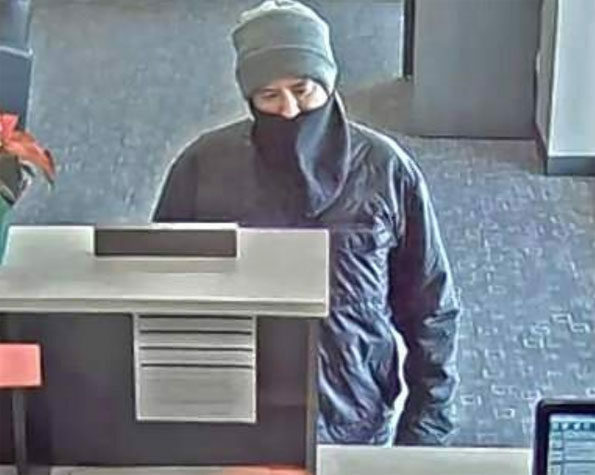 The FBI reported on Sunday, February 10, 2019 that a male/white offender in his 40s robbed the Ben Franklin Bank of Illinois at 9:35 a.m.
Reports by the Rolling Meadows Police Department and FBI did not state that a weapon was displayed, an initial alert on Saturday indicated the offender was armed with a machine gun. Also, two surveillance images published by the FBI show the suspect with no visible weapon. The FBI warned that the suspect should be considered armed and dangerous, however. No physical description of the offender was initially made available on Saturday, February 9, 2019. Initially no direction of travel or vehicle connection to the case was officially described by law enforcement. The crime, initially reported to have occurred at 9:46 a.m. was updated to 9:35 a.m. by the FBI.